Chris Hughton has defended the right of the so-called smaller clubs to set up negatively against the likes of Manchester City. Newcastle drew criticism from some quarters, notably TV pundits Jamie Carragher and Gary Neville, for their tactics in their 1-0 defeat at home to the runaway leaders on Wednesday night. Hughton's Brighton side, who like Newcastle were promoted from the Championship last season, have played each of the top six this term and failed to take a point from any of them. They may be safely in mid-table but some Seagulls fans were still frustrated that they failed to lay so much as a glove on Chelsea during their 2-0 Boxing Day defeat. 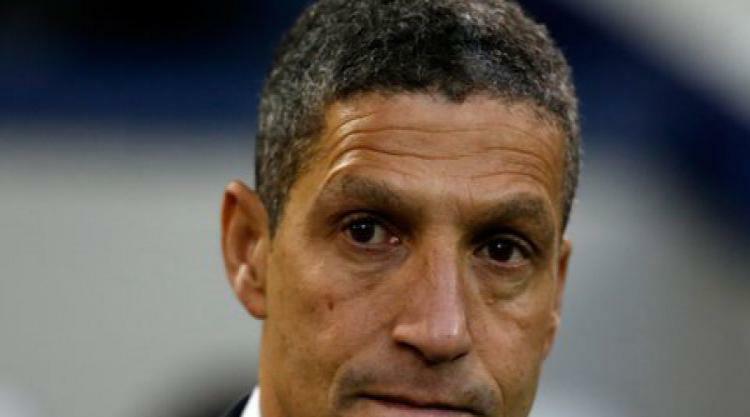 But Albion boss Hughton said: "Not everyone realises how difficult it is against the top six, particularly City at this moment and the way they can blow teams away. "Everyone has the right to set their team up how they feel is the right way against what is certainly by far the best team in the country at the moment." Brighton head to Newcastle on Saturday on a run of just one win in their last nine matches. They will face a side with only one win in their previous 11, and Hughton anticipates a more attacking outlook from Rafael Benitez's side. He added: "I think it might be a little bit different to last night. "That was one game, the approach against us will be completely different. "They are at home, and they will see us as one of the games they have more chance of winning. "We are a team also just up from the Championship, we don't have the experience they do and they will see it as a game they can win. "Newcastle are a team we know very well, we know they have a lot of quality. "They haven't had the best of times of late but we know on a good day for them they can be a fairly formidable team, they have enough quality to make them very dangerous opponents."